Property Investment Strategies - cstproperties Property Investment Strategies. Property Investment Strategies? We are now in a new Financial year where we review our progress for the last year and plan for the new financial year. What are the goals but you want to accomplish this financial year? Did we set realistic goals last year and how did we go about achieving them? How did we go last year and what are our goals for this year? Is it now the best time to expand to buy, sell or consolidate? What should be our goals for the next financial year? Is there a property purchase or sale, a lease we should update or refinance of a building we should be focusing on? With the predictions and pressure that interest rates are about to go up, the longer that we wait for a new loan, the more expensive our repayments is likely to be. If they do go up how long will it be before they go down again? We keep Reading predictions of higher interest rates and Possibly be a property correction coming soon. Are we prepared? Let’s have a birds-eye view of our commercial investment property portfolio. Look at the possible scenarios if interest rates continue to rise? Should we speak to our bank or mortgage broker about possible refinancing options? Would we be able to service our loan comfortably? Is there good positive cash and is it enough to be able to absorb a few interest rate increases? Shall we try to lock into a fixed interest rate loan or should we leave our investments at variable rates? Are our all our lease is up to date? Are they fully executed? Are we looking at the possibility of renewal of any or all the contracts to have some security if the market softens? Tenants are always checking out what other tenants are paying in similar premises. Are the rents we are charging a fair market value rate? What is the current demand for a property like yours? Are we getting positive cash flow from our commercial property? Are we getting our full tax deductions? Is our depreciation schedule accurate and up to date. You will be surprised to find out how many real estate and business investors don’t claim their full deductions. Has a quantity surveyor given you a recent list of allowable deductions to pass on to your accountant? The property market and corresponding property prices are always changing. Should you consider refurbishing or repositioning your property to appeal to a new market? What are the demographic trends in your area? What are the growth possibilities? Where are things looking a bit shaky? Should you consider selling the property. What are the holding costs? If you are it is always important to think that the reason main reason why you want to sell is usually the reason why experienced property investors would not be interested in buying. Real estate prices fluctuate. In a deteriorating market, it could be a good idea to get out before prices continue to decline. How long can you afford to hang around till prices come up again? What is your opportunity cost? Do we have enough business or rental income to afford to have a negative gearing property? Will you be better off moving your money to better cash flow properties or somewhere else where your return will be better? On the other hand, if you are in an excellent financial position should you be looking to expand your portfolio. Has the council zoning recently changed or about to change in your area?. Is there an opportunity to buy your neighbour? Will it improve the value of your property as a development site? With this in mind, it may be a good idea to create an updated list of goals you wish to achieve for the next financial year. It can become very easy for us to get reactive and not proactive when we continuously feel busy. Too busy for us to do the essential activities that will help us achieve our goals. It’s critical for us to be clear on what actions we must focus on that will help us accomplish our real estate and business goals for the year. It might be a good idea to list your goals for the year and remain focused on these for the rest of the year to achieve them. Look at these goals every day. This will help you stay focused on doing the activities that are truly important to real estate & business and avoid the many distractions come to you every day. In summery, owning or buying a property can be very complicated in a changing market. Right property management policies and goals should always be monitored. So what are your plans and goals for the next year? 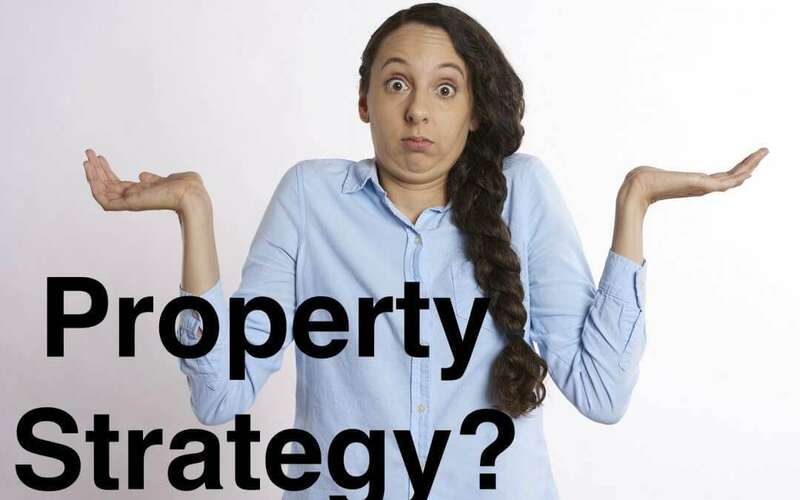 Do you have the right property strategies? What are your options? If you would like to discuss any of these options open to you feel free to contact Con Tastzidis via Phone on 02 9882 2221 or email invest@cstproperties.com or the other contact information on this website for a free no obligation confidential conversation. We would love to help.